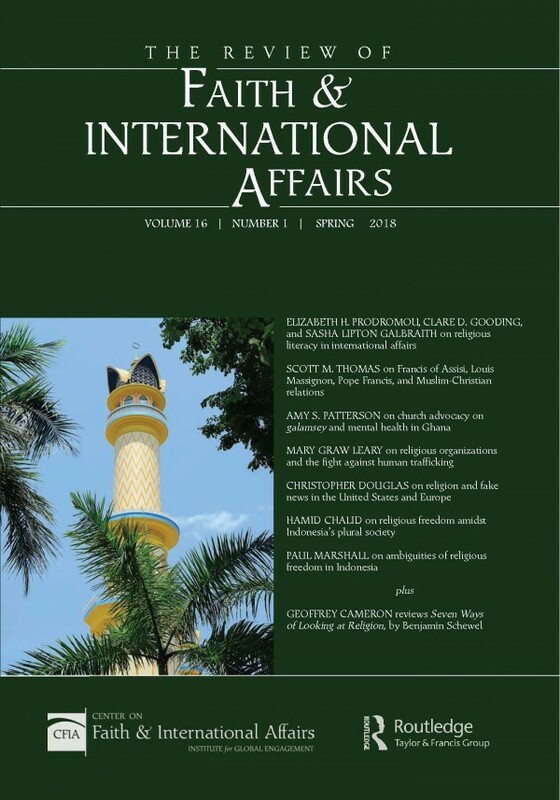 The spring 2018 issue of The Review of Faith & International Affairs features rigorous yet accessible research and analysis on timely topics at the forefront of the field. Highlights include an article by Elizabeth Prodromou et al. on the vital need for religious literacy among international affairs scholars and practitioners, and an article by Paul Marshall on Indonesia's ambiguous record on religious freedom. (Both of these articles are free online.) The spring issue also features numerous other leading scholars including Scott Thomas, Amy Patterson, Mary Graw Leary, Christopher Douglas, Hamid Chalid, and Geoffrey Cameron.